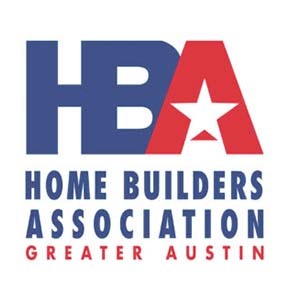 We are very proud to support elected officials who support the citizens, the city, and public safety. Heather Jefts has demonstrated her support of these priorities, and we proudly endorse her. 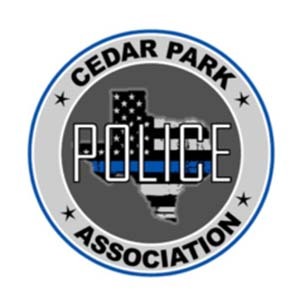 The Cedar Park Police Association proudly endorses Heather Jefts for Cedar Park City Council. 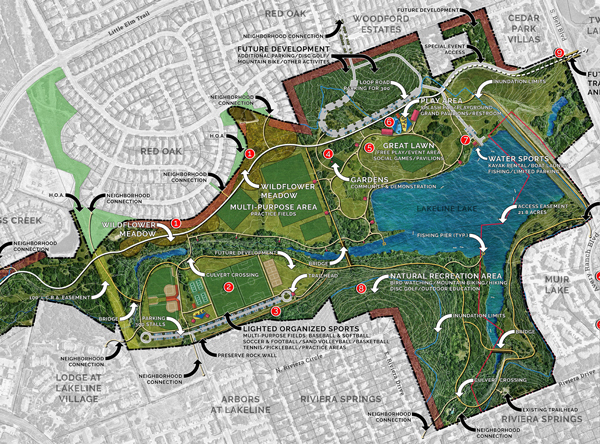 We look forward to her continued commitment to the safety and the citizens of Cedar Park. Heather Jefts has been fiscally responsible, ethical, collaborative, and hard-working. She has done a great job as councilmember, and that’s why my wife Stephanie and I are supporting her. 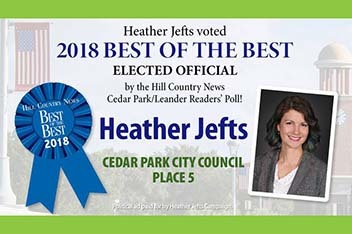 In 2018, Heather was voted Best of the Best Cedar Park Elected Official by Hill Country News. Read more about Heather here. I love Cedar Park! 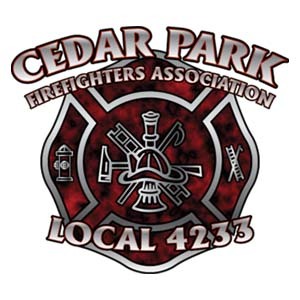 Cedar Park is a city in transition. 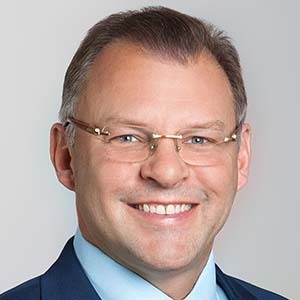 We’ve grown from around 36,000 to almost 80,000 in the 14 years I’ve lived here, and we’re expected to pass 100,000 residents in the next few years. That’s a large little city! 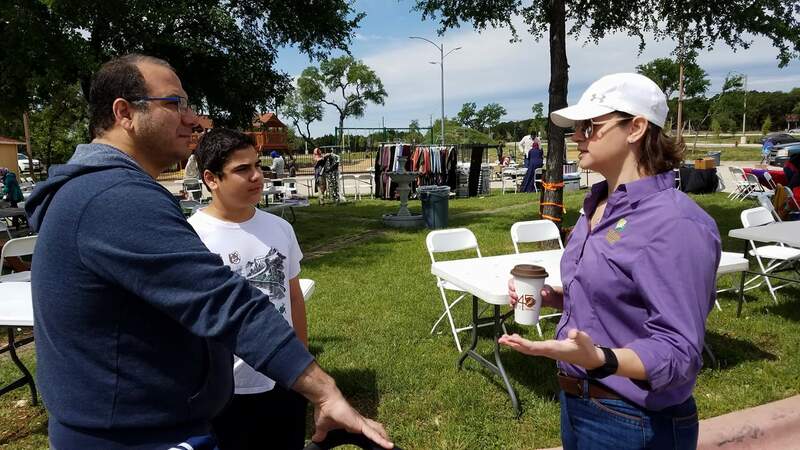 Let’s make the best steps forward for our beautiful city. Feel like helping Heather in her reelection? No way is too small to assist. Contact here!